The time has come, as you can clearly see, for a new tea kettle. I don’t want to disclose exactly how many times I have almost burned the house down by forgetting all about the boiling water in the pot… only to be reminded by a sharp and pungent smell of burning metal. This past time, the entire bottom of the pot was glowing a dull red. Let’s just say that this particular pot has used up it’s nine lives. So on to the next one! Yanagi Tea kettle, from Japan. Yanagi tea kettle. It just sounds impressive. This is the one my oft mentioned friend Nancy covets, and since, when it comes to choosing stuff for the home, I’d happily follow her off of a cliff, I too am desperately in love with it. Yanagi is one of Japan’s most admired and prolific designers, so it’s got artisan cred, plus it’s made out of durable stainless steel which… well… does not stain. 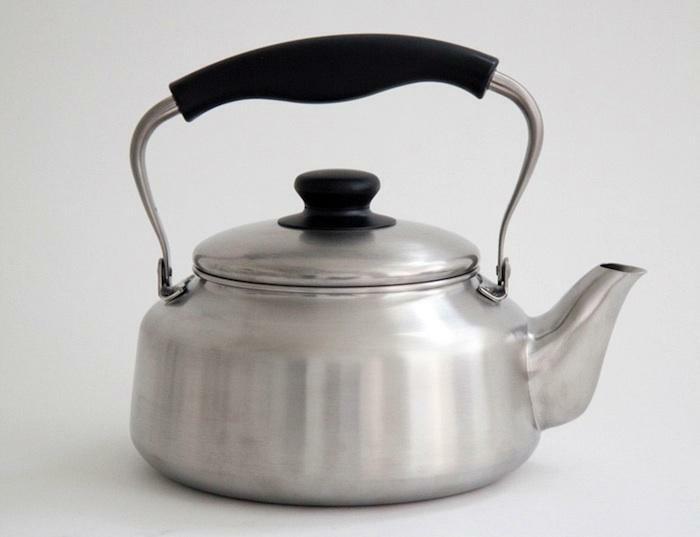 One might think that all good kettles come from Japan, but that is not true. Only most of the really-beautiful-and-slightly-more-expensive-than-I-want-to-pay ones do. 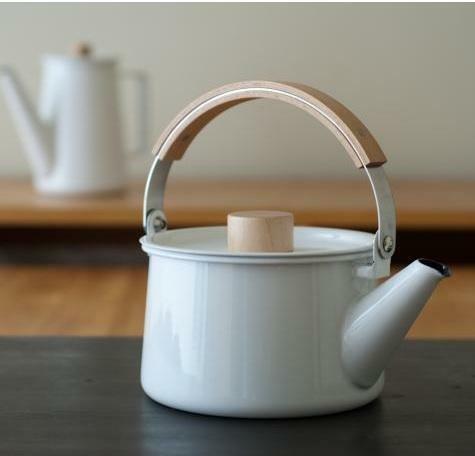 Remodelista (a pox on you for being such a treasure trove of lust-worthy objects) has also offered up this lovely kettle designed by Shoei Kogyo. Called the Kaico Kettle, it has a white enamel coating over it’s steel interior, creating a thermally efficient and easy to clean pot. Which is good, because it’s wooden handle means it’s not dishwasher safe (I don’t care as we are dishwasher-free here in Brooklyn, but that may matter to some of you people out there). To mass consumption in the family in the summer barley, etc Kama in the capacity of a little may be unsatisfactory, but think minutes to consume at any given time to make the just the right size. Size also put at kitchen kettle is also not in the way, love the look is very nice. Using, enjoying the look in the eyes. It may be this comfortable communing daily design leads to attachment. I mean, who can resist buying the Kaico after reading that testimonial? 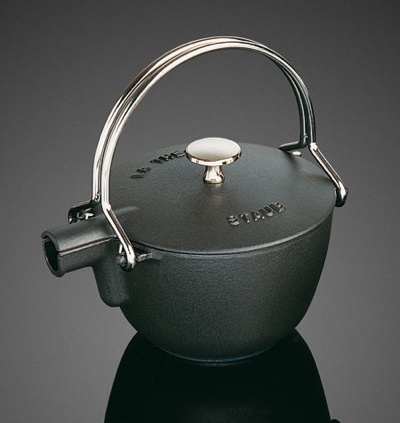 The Staub La Thiere tea pot in black cast iron. But then I think… Hmmm… Should I go back to the white enamel style? Or should I get something made of sterner stuff so as not to worry (as much) about burning the pot again and again? This thought turns my gaze towards the Staub La Theiere cast iron pot, the sturdiness of which I’m sure would have pleased even Ma from Little House on the Prairie. It’s sold on Amazon (of course) but it looks like right now there’s a bit of a sale happening via Remodelista, so it might be worth checking there first if this is your model of choice. 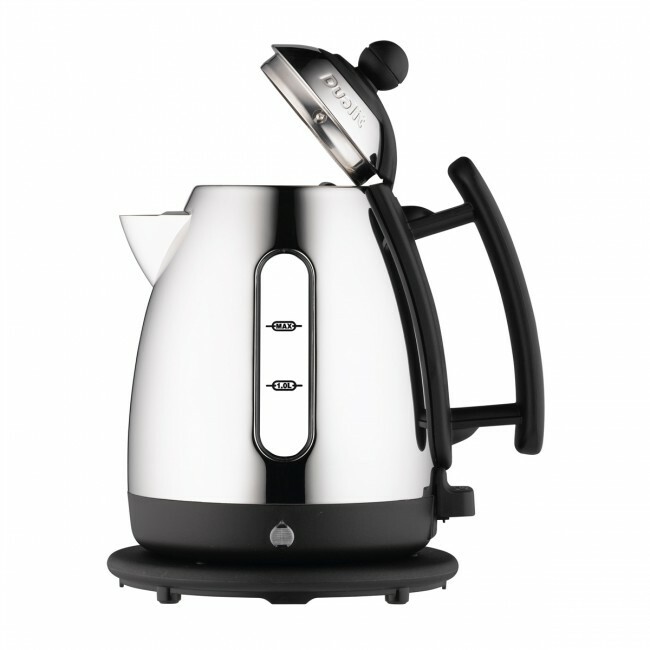 Or do I just bail on the whole stove top concept and get all modern and European with this electric kettle by Dualit? It’s not bad looking, can hang out anywhere on your counter and evidently has no cord, so you don’t have to worry about trying to run the plug behind the sink and over the spice rack to reach the one outlet in the kitchen. This would constitute a major life change for me, and I admit I am not sure I’m up to it. But I am putting it out there, in case any of you are leaning in this direction. Do it! Electric ones turn themselves off! Save your family! I keep meaning to do same. Hmmm… that’s 2 votes for electric. My only problem is the extremely limited counter space in my kitchen. And I’d love to say the whistle helps, but the sad reality is that I make most of my tea after my kid is in bed, so I leave the spout uncovered so as not to wake her. Hence the burnt kettle. I’m thinking I might put a dedicated timer in my office to remind me that the water is on… But then we have to shop for a timer… so much to do and so little time. I was going to ask which kettle you decided on, but I see in the comments you’re still on the fence. 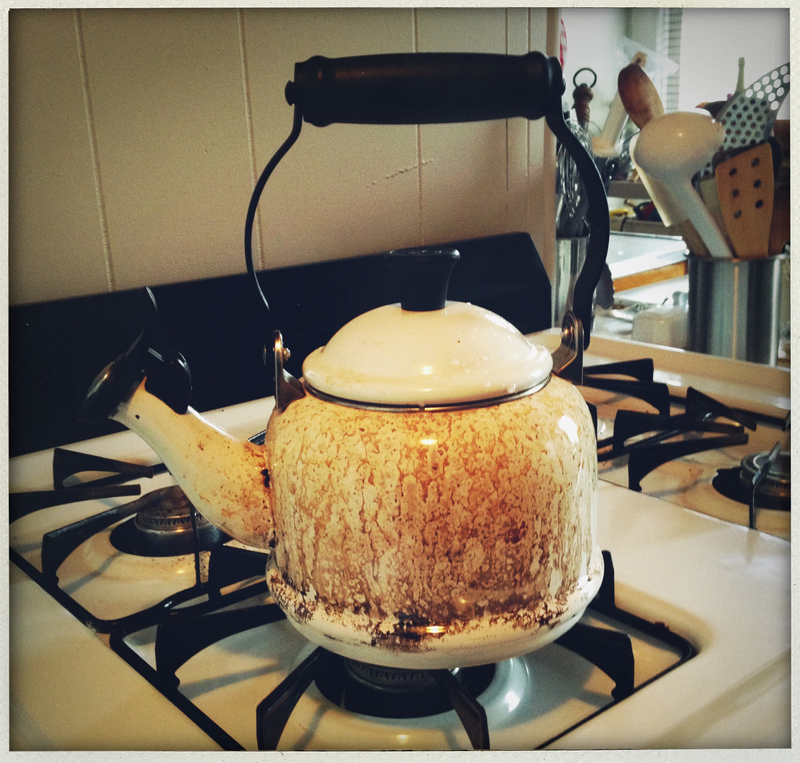 I’m getting rid of my vintage whistling tea kettle because the water pours too slowly and was really leaning towards the Staub. I will admit I’m a teensy bit apprehensive about how heavy it’s going to be filled with water AND the lack of whistle. I’m notorious for leaving things cooking on the stove while I’m reading in another room.